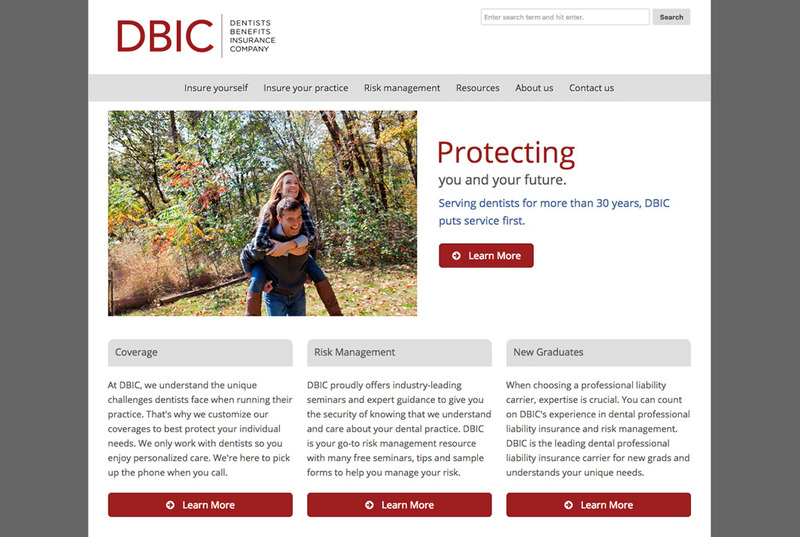 The Dental Benefits Insurance Company (DBIC) approached Local Fresh with the goal of creating a new website that would better enable the insurance provider to establish its own unique space in an overcrowded industry. Through extensive evaluation of DBIC’s closest competitors, Local Fresh identified the elements a redesign would need to propel their website to the forefront of the industry. Through improved navigation, a responsive multi-platform design and redesigned content that better engages potential clients, Local Fresh developed a new website and online marketing presence that enabled DBIC to better promote its brand, increase online interaction and further expand the company’s client base.